Apply to Join Art Selection Task Force Today! Ramsey County and the City of Saint Paul have asked the Ramsey County Historical Society to lead a task force that will select and guide local artists in creating new art for display in the Council Chambers at the St. Paul City Hall/Ramsey County Courthouse. These new artworks will be exhibited alongside four existing murals created by John Norton in 1931-1932. With the same overall goal of celebrating the people and development of our capital city, the new artworks will address an 87 year gap in the history of our community. To aid in developing this new art a task force of eleven community members is being assembled to provide artistic direction, select artists, and advise on interpretive panels to be installed in the Council Chambers. 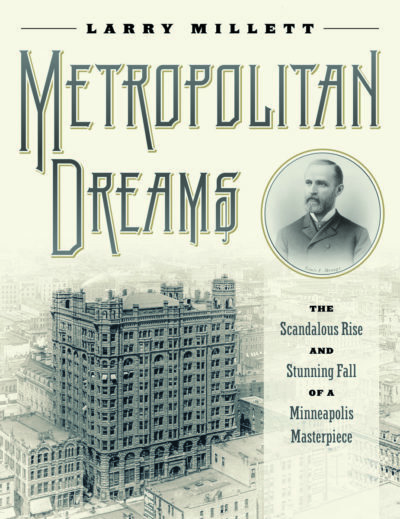 Task force members will advise the Ramsey County Historical Society throughout the project, directly influencing the selection of artists and the final recommendation of artwork to be exhibited by Ramsey County and the City of St. Paul. The Task Force will be comprised of 11 community members and led by Chad Roberts, President of the Ramsey County Historical Society. Developing a recommendation for Ramsey County and the City of St. Paul on the installation of completed artwork in the council chambers. Task Force members will receive stipends of $50 per meeting and will meet five times. The first meeting of the Task Force will take place on February 28 at 3 p.m. at the City Hall/Courthouse. Additional meetings will be scheduled by the task force. It is expected that the Task Force will conclude its work by November 30, 2019. Meeting duration will range from one to four hours and some independent work in between meetings will be required. It is estimated that members will need to commit 15-25 hours to the project over the course of nine months. Desired qualifications include experience working with public art, knowledge of our community’s history, and an understanding of cultural norms and differences in the East Metro/St. Paul. Experience working with artists and in working with groups to achieve understanding and consensus will be helpful. Each Task Force member should demonstrate an appreciation for history that is inclusive and respectful of more than one perspective. Members will be expected to adhere to the Ramsey County Historical Society’s Values and Equity and Inclusion statements. Applicants must be 16 years of age or older. Task force members under the age of 18 may serve with parental consent. Please complete the online application/nomination form below. Hard copies of application form will be made available starting January 22, 2019 at City Hall, Ramsey County Historical Society (Room 323 and in the Mary Livingston Griggs & Mary Griggs Burke Research Center – both in Landmark Center), and the East Side Freedom Library. Applications must be received by 5 p.m., Monday, February 4, 2019 to be ensured of full consideration. Applicants may be interviewed by phone or in person as part of the selection process. RCHS anticipates notifying all applicants of their status on February 12, 2019. Online application form for the Art Selection Task Force available here. Note that the application form and information for artists will be available in March 2019. Please be prepared to answer the following questions before you access the form. In addition to your contact information, please address the following questions. We suggest writing up your answers before accessing the form. Ramsey County, the City of St. Paul, and Ramsey County Historical Society have developed a plan to add new art to the Council Chambers. This process seeks to engage the community and create new artwork that is inclusive and representative of our community today. This effort respects the history of the building and preserves the original artwork while adding context that will foster discussion and learning about the past and present of our community. Future visitors, whether on official business or on tours, will learn about the many diverse people that have helped make our Capital City and County remarkable. The community will be engaged through an art selection task force and process that will identify artists and commission new art for the Chambers that re-explores the themes of the existing artwork. Artists will be paid for their original artwork created for this project. This new art will be installed in a manner that does not damage existing artwork. The new pieces will be installed over the top of an existing mural, next to the mural that has the same theme as the new artwork to allow a comparison of each piece and foster constructive dialogue. These installations will then rotate on a schedule determined by Ramsey County and the City of St. Paul. The FAQ section will grow as questions are asked and answered throughout the project. 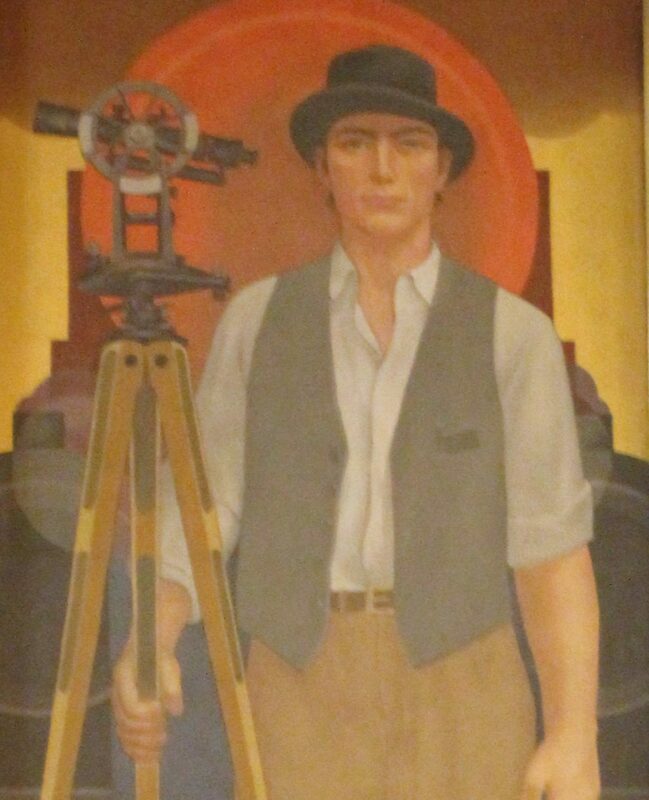 Artist John Norton was the preeminent muralist in the United States in the 1920s and was hired by the architect of the City Hall/Courthouse to create the original murals in 1931. He was based in Chicago and was the first prominent muralist in the USA to forgo the heavy use of allegory in his murals and his work was often understated in color palette and form compared to other now-famous muralists. Will the Norton murals be removed or damaged? No, the art will be preserved in its present location. The alcoves in which the murals are exhibited were designed specifically for the art and given the size of the murals, the alcoves also provide the best option for storing and preserving them safely. Will the Norton murals be covered? Sometimes. The current plan is for two of the Norton murals to be exhibited and visible alongside two of the new artworks at the same time. The new artwork will be displayed in front of the Norton murals that are not on display. At a schedule to be determined by Ramsey County/City of St. Paul, the artwork displayed will change. Why not remove the Norton murals? This is a debate occurring across the country and world right now about public art and how/where it is displayed. As you may imagine, there are a number of perspectives that should be respected as this debate continues, and there are a number of perspectives on what the “right” thing to do might be. In the case of these Norton murals, there are several reasons that make keeping them installed important. These include the prominence of the artist, their creation explicitly for the chambers, and that they represent a particular world-view of the individuals with authority in the early 1930s, all make the artwork itself and their location in the chambers historically important. There are additional perspectives that call for the removal of the artwork, including the historically inaccurate exclusion of women and marginalization of the role of people of color and indigenous people in the history of Saint Paul that make these murals unreliable representations of life in the city. As a working public building, there are concerns that artwork that presents one group as clearly dominant diminishes non-represented individuals and groups that are supposed to be equal in our community. The depictions of indigenous people is deeply troubling to many Dakota and Ojibwe individuals for a variety of reasons. The rationales for removal of the artwork as well as for keeping it in place will be explored during this process and available via our website in late 2019. Interested individuals will be able to learn about the great many perspectives that exist on this issue and draw their own conclusions. Local artists will be asked to re-imagine the themes represented in the original murals in a way that more accurately represents the contributions of women and diverse communities over the entire history of Saint Paul. Original, two-dimensional artwork will be created, each original piece will be approximately 18”x60”. These originals will then be reproduced and enlarged to match the size of the Norton murals. The new artwork will be mounted on lightweight frames that can be installed in front of the existing murals without damaging either the Norton murals or the surrounding woodwork. Each of the four new murals will be paired with an existing mural. Two new murals and two existing murals will be exhibited at one time. These will rotate on a schedule that will be determined by the City/County. Interpretive materials will be mounted at the base of each new mural and each existing mural to provide context and foster discussion and learning regarding the history of our community as well as the impact of how gender and ethnicity are presented in public art. An eleven person community task force will be convened to select artists and guide the creation of the new artwork. The task force will be comprised of two appointees identified by the City of St. Paul, two appointees identified by Ramsey County, and seven community members selected by the Ramsey County Historical Society that have experience with public art.